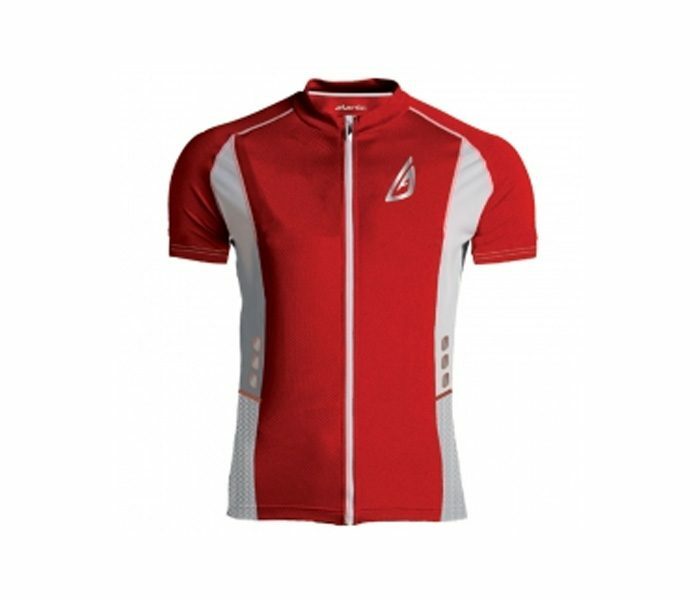 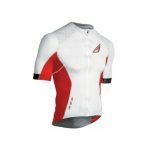 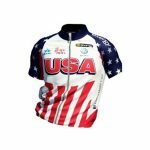 Take a look at this eye-catching red and white cycling jersey with a front zip closure which will offer you a firm fit and exclusive comfort. 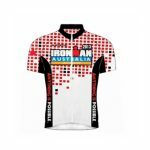 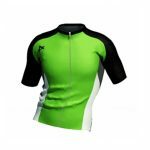 The white patches along the sides have given this jersey a stylish stroke. 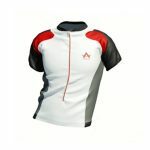 It has short sleeves and a crew neckline to make you look smart and feel confident. 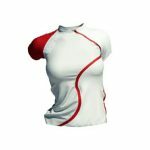 The smooth fabric will sit softly on your skin leaving you a tender sensation.